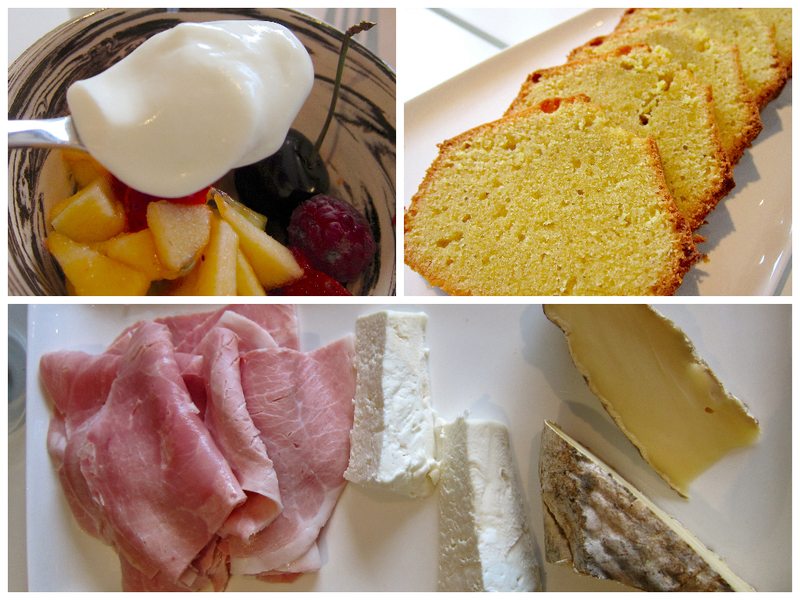 Summer is well and truly here, and I find myself reminiscing about our last summer in the beautiful French countryside. PB and I together with my family hired a car and drove down from Paris towards Cantal in Auvergne. 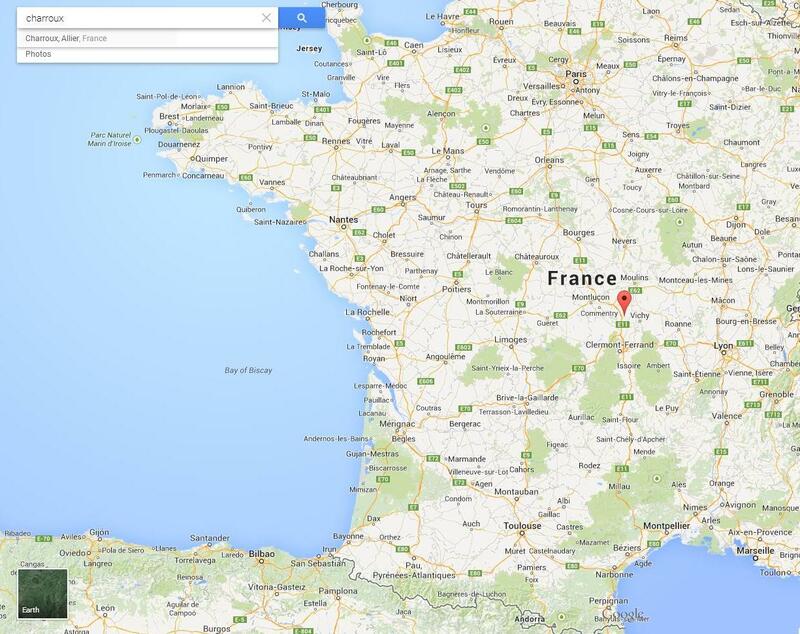 This area is well known for some of France’s best cheeses and meat (beef and lamb). It’s one of the least populated departments in France and can get extremely cold in the winter. But in the summer, it is the perfect time to visit Puy de Dome, the town of Laguiole (where those lovely Laguiole knives are produced), and eat at the fabulous Serge Vieira. If it’s your kind of thing, you can also go to Chaudes Aigues , famous for it’s hot spring waters and also the annual Tattoo Festival! Random, but true. We wanted to break up the 5 hour drive between Paris and Chaudes Aigues, and thought a visit to Vichy might be nice. 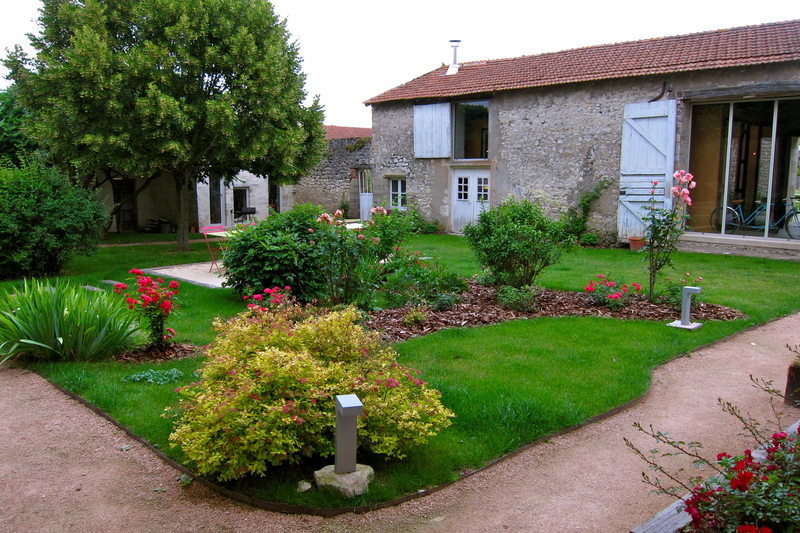 Serendipitously, the nicer hotels in Vichy were booked, so we decided on a small B&B in the nearby Charroux. Classified as one of the most beautiful villages in France, Charroux is a former fortified village famous for it’s mustard. Sometimes you come across the best places by accident, and Les Templiers in Charroux is one of those places. 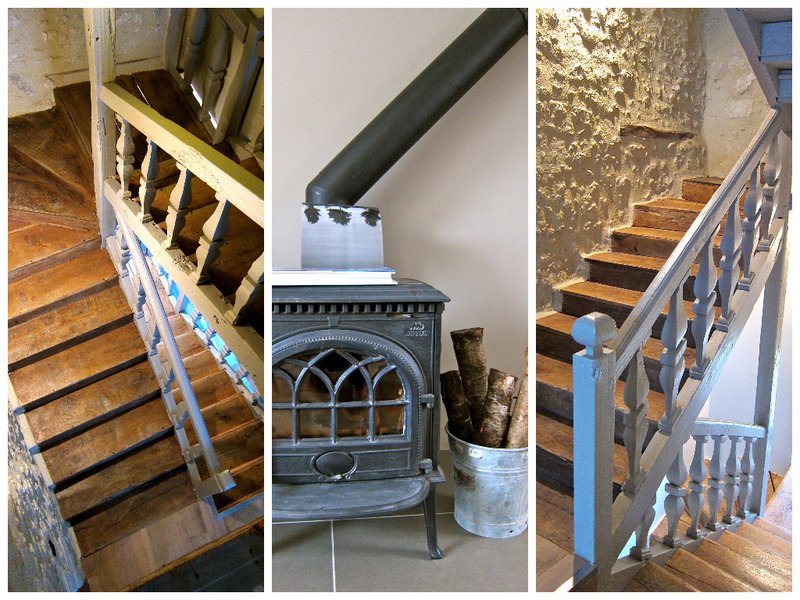 Opened in 2012, this 19th century building has been lovingly restored and converted into a tasteful and modern “chambre d’hôtes”, keeping all of the original wooden floors, stairs, roof beams and stone walls. 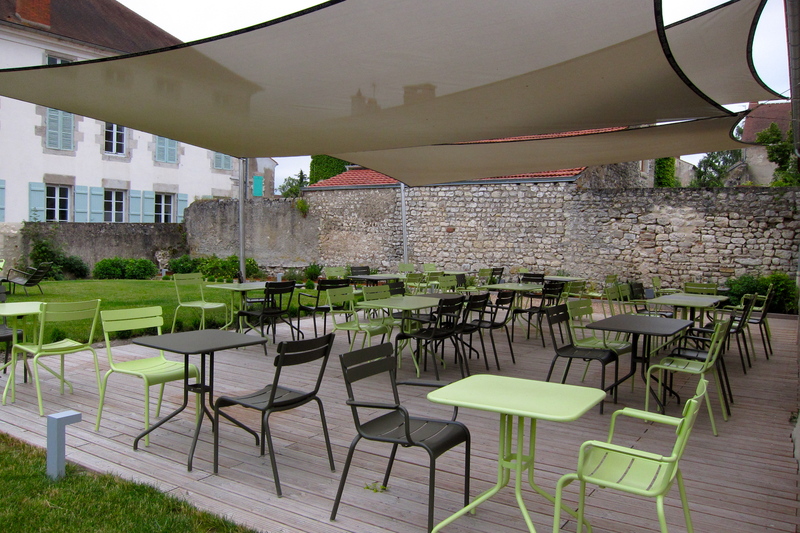 With beautifully manicured gardens in the back, crêperie restaurant to the side, and the charming little village of Charroux surrounding it, Les Templiers was the perfect place to stop for one night. Unfortunately we had to leave after breakfast and didn’t have a chance to have a good amble around the village. From the 12th to 14th century, Charroux was fortified by the lords of Bourbon and once protected by a double rampart. Now, only the east and west gates together with 60 meters of the inner wall remains. It’s a fascinating place to walk around and at certain places find pictureque lookouts over the surrounding countryside. 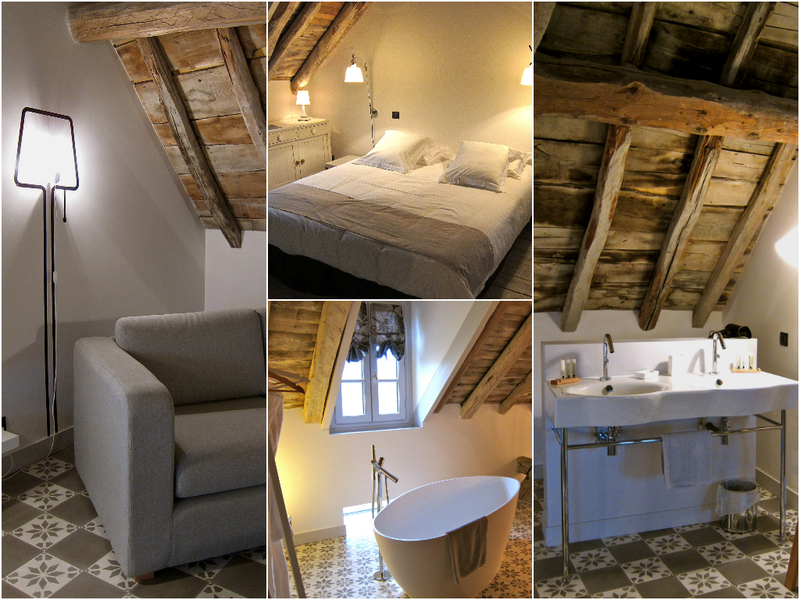 We stayed in the Combles Room in the attic, featuring original comble roof beams, a stand alone tub, bathrobes and interesting light fixtures. In fact, the whole property was accented with eye-catching lighting. It is these small details which really make a place stand out, it’s obvious that the owners paid attention to every element of the decor, and I must say they have very good taste. 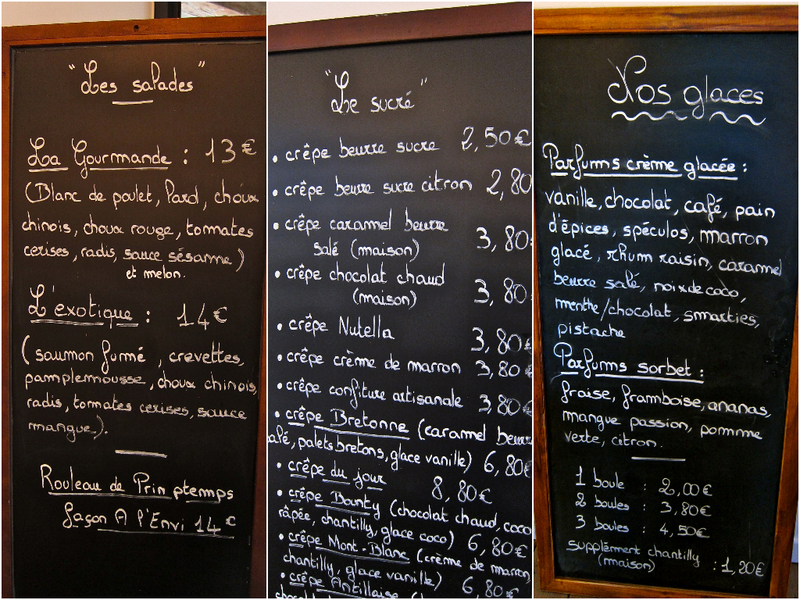 We had arrived in the late afternoon and wanted to try out their crêperie next door, however we somehow managed to come on the one day of the year when they were doing their accounting and the restaurant was closed. Nonetheless, they opened it up just for us – Aurélien popped out to pick up eggs from a neighbour, and they whipped us up a fabulous meal. 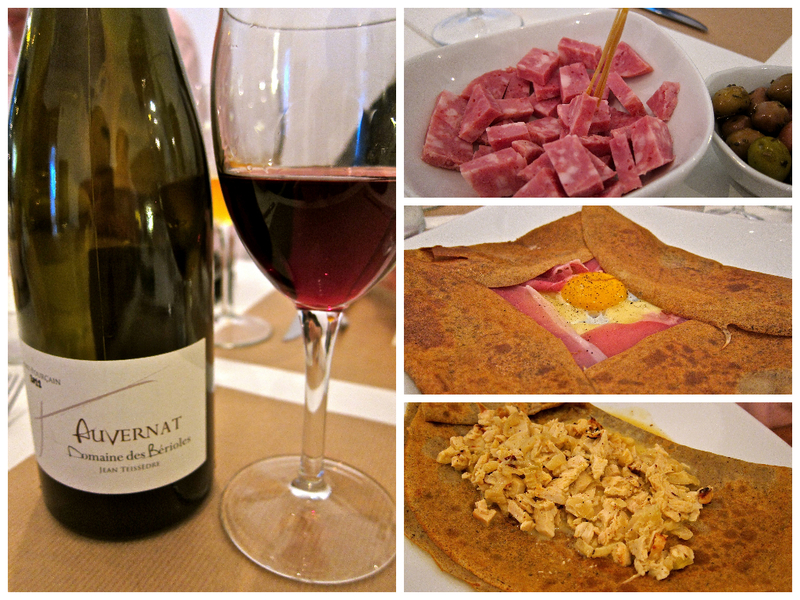 The apéro snack was sausage from a local producer, and we drank wine from the region – it was a simple, honest meal that we really enjoyed as family. The restaurant itself was an old barn, into which two wooden structures were installed separately so as to preserve the original building, one for the dining room and the other for the kitchen. If you’re interested in visiting Charroux, I came across this Citroën 2CV Rally taking place next May 2015 from Paris to Cannes, stopping off at 20 of the ‘most beautiful villages of France’ (including Charroux) and arriving in Cannes for the Film Festival! It sounds like a fun trip full of culture, adventure and gastronomy. Paris – Charroux (stayed at Les Templiers) – Chaudes Aigues (stayed at Serge Vieira) – visited Puy de Dome – stayed in Montpeyroux (wouldn’t recommend where we stayed) – visited Saint Guilhem le Desert (another of the most beautiful villages of France), this is the starting point if you want to canoe on the Herault Gorges, visited wine estate Daumas Gassac (producing some one of the best crus of the Langedoc Roussillon, 2009 vintage red is particularly good) – stayed in Gordes (Mas Galinelle was perfectly situated to visit Gordes) – visited Eze Village (drive 15 minutes to Monaco if you wish!) – Visit St Jean Cap Ferrat (spend a day at Paloma Beach).